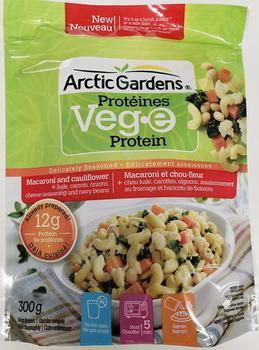 Bonduelle Canada is recalling Arctic Garden brand Veg-e Protein products. Defective packaging may allow pieces of the plastic zipper to fall into the product during microwaving. Customers who purchased the recalled products should not consume them, but discard them or return them the store where purchased. Consumers with questions may contact Bonduelle Canada at (888) 990-266 or online at www.arcticgardens.ca.